On our tenth birthday we realized that age is far more than just a number. It’s pretty customary for most companies that reach such a milestone to undertake a little retrospective and document their growth through a bunch of statistics, or maybe even a pie chart or two, before sharing a vision for the future that appeases the company stakeholders. At Learnosity, we try to take a fresh approach to things. So we’re not going to use our birthday as an excuse to bamboozle you with numbers or trot out the glossary of corporate jargon. Instead we’d like to mark the occasion by sharing some things that we’ve learned about ourselves as a company – or maybe more accurately, as a team. Because real company growth is about much more than just the bottom line. It’s about values too – the things that define what you’re all about. From our heady, quixotic adolescent years as a start-up (where we followed just about every cliché in the start-up playbook), we’ve arrived at a point where we have a clear sense of identity. We know who we are, what we do, and why we do it. The values we started out with have matured into a set of guiding principles that help make Learnosity a company that’s a pleasure to work with (we believe), and to work for (we know). 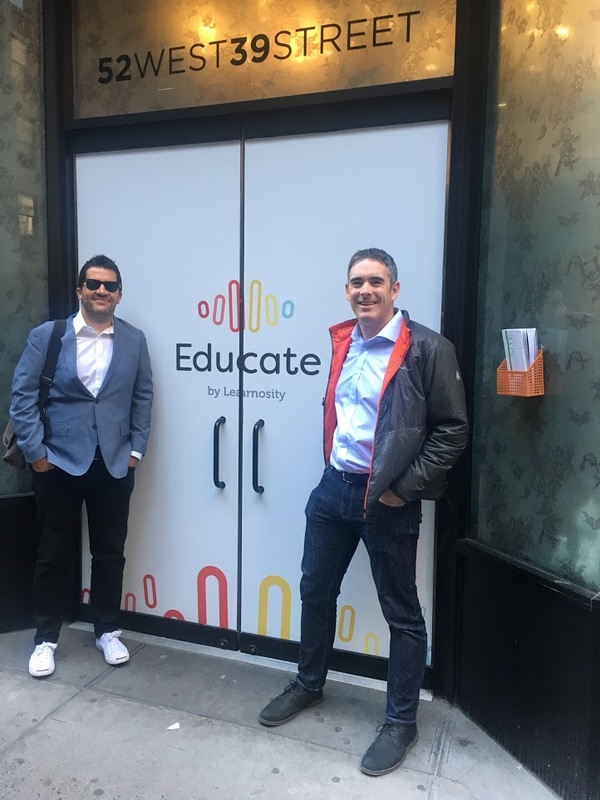 As you can (hopefully) see from the image above, our initial mission was generally about the kind of product we wanted to build, but it also reveals a little about the company’s sense of energy and enthusiasm for change in edtech. 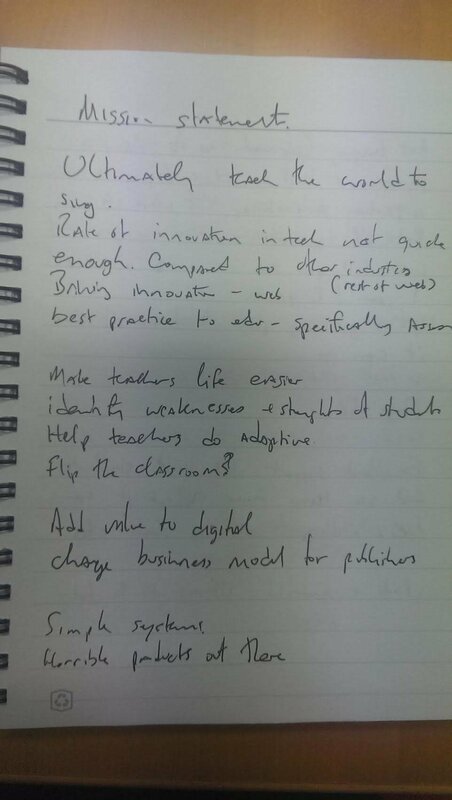 Apparently, we even wanted to “teach the world to sing” (how’s that going Gav?). Yes, we know, all companies say that. But not all of them over-deliver time after time in the way we do. And we do it because we take education seriously – we genuinely want to help make life easier for our clients and their users. The emphasis above is Mark’s – it’s always been clear that our focus needed to be on actually helping real end-users by listening to their needs, gathering their feedback, and acting on it to make Learnosity work better for everyone. 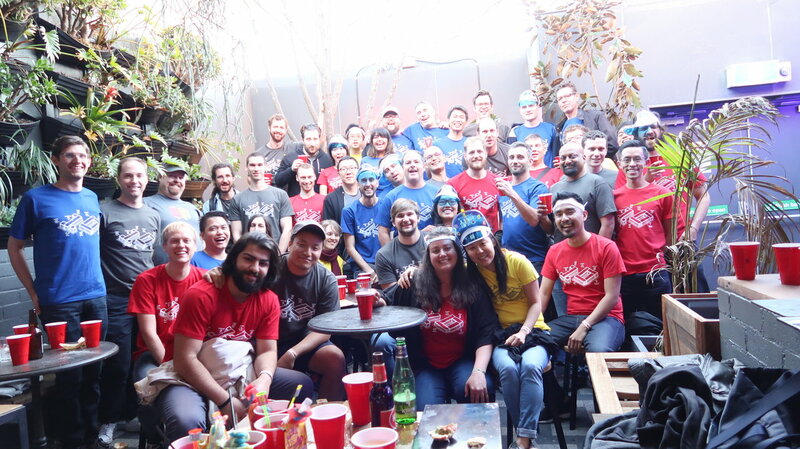 That truthfulness between company and customer is invaluable to us, and we make every effort to remain open about everything we do – from our product roadmap to our contributions to open source projects. Transparency earns trust, and trust builds confidence. Although our growth as a company has been pretty rapid, we still make the effort to hold onto the attitude and ethos we had at the beginning when we were a small team. Basically, that means we work like we’re all in it together (because we are), remain honest with one another, and rely on each other for support when we need it. It also means that we’re flexible in our approach and comfortable assuming different roles. This was probably never as much in evidence as when we ran Educate, our first-ever conference, in New York. Suddenly people from our engineering, design, and support teams turned into engaging public speakers in front of a sold-out audience. Our commitment to detail, performance, and innovation stems from our goal to raise the bar for edtech. The reason this is so important to us is because we feel that education gives learners of all ages and abilities the chance to make their lives better. It creates opportunities, deepens understanding and appreciation, provides a platform for progress, and so much more. All this makes it essential that education leverages technology far more effectively than it has done up to now. 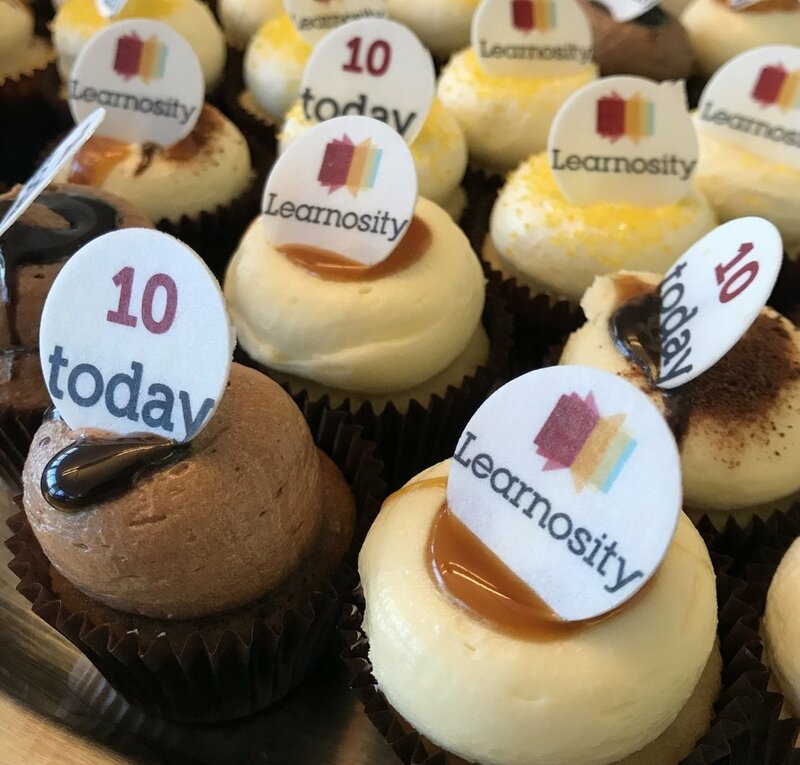 So on our tenth birthday, we’ll blow out the figurative candles, make a wish, then continue to act on the values we’ve developed over the years to make that wish happen: to change how learners learn, for the better.